Classics students at The Sixth Form College, Solihull travelled to Oxford recently to visit the University of Oxford’s Ashmolean Museum. 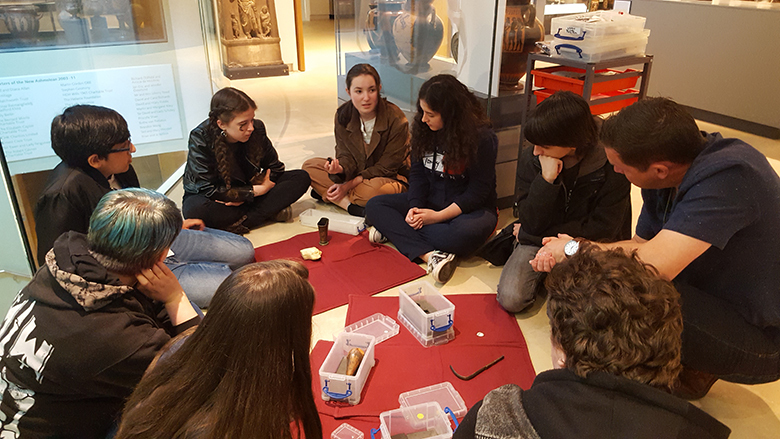 A group of students studying A level Classical Civilisation and Ancient History spent the day at the Museum, to take part in an interactive object handling session with both ancient Greek and Roman artefacts. There were also activities in the afternoon that included full access to the Greek and Roman rooms at the Museum. Students worked together selecting and analysing objects for a Classics Educational App class project. A level Ancient History sees students exploring the struggle between Athens, Persia and Sparta from 492-404 BC, as well as The Roman reigns of the Julio-Claudian emperors and the invasion of Britain by the Romans. Meanwhile, Classical Civilisation students study Greek and Roman mythology, Literature, drama, art and archaeology. Ancient History and Classical Civilisation are just two of the courses on offer from the Humanities department. The College also offers A levels in Geography, Geology, History, Philosophy and Religious Studies.